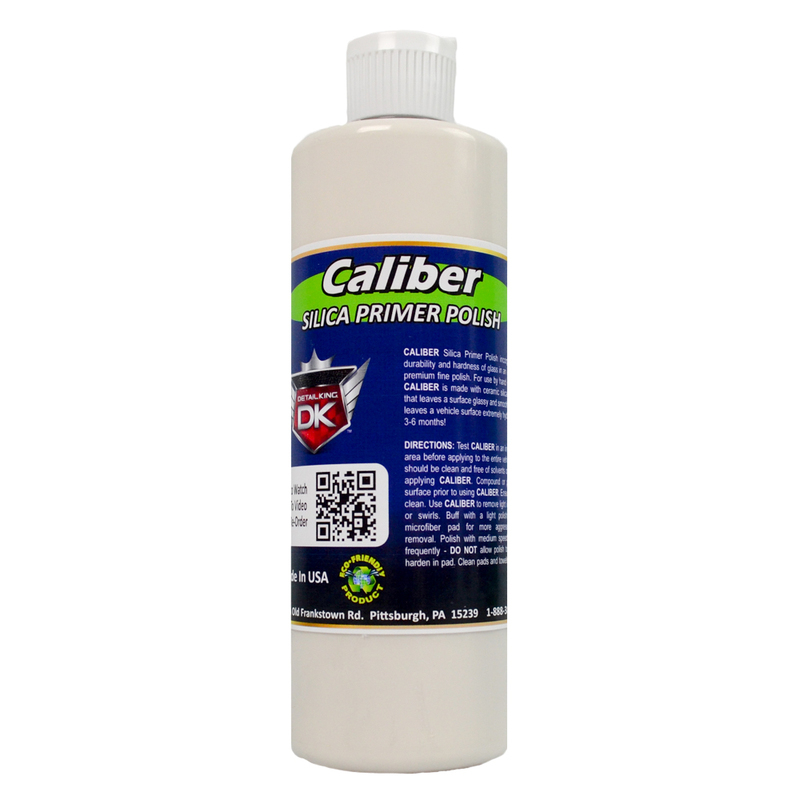 CALIBER Silica Primer Polish incorporates the durability and hardness of glass in an easy to use premium fine polish. For use by hand or machine, CALIBER is made with ceramic silica technology that leaves a surface glassy and smooth. CALIBER leaves a vehicle surface extremely hydrophobic for 3-6 months! This product is perfect to use as the final step for your paint correction stage prior to applying your ceramic coating. DIRECTIONS: Test CALIBER in an inconspicuous area before applying to the entire vehicle. Surface should be clean and free of solvents or wax before applying CALIBER. Compound or prep vehicle surface prior to using CALIBER. Ensure surface is clean. Use CALIBER to remove light imperfections or swirls. Buff with a light polishing pad, or microfiber pad for more aggressive scratch removal. Polish with medium speed. Clean pad frequently - DO NOT allow polish to build up or harden in pad. Clean pads and towels after use.